Crop diversity is important for so many different reasons… to help ensure people have access to the nutrients they need through a nutritious and varied food supply, to have crop varieties that can cope and adapt to changing climatic and soil conditions, help safeguard biodiversity, provide resistance to pests and diseases, provide competition with weeds, help reduce the need for irrigation and stabilise soils... to name just some of them. Using a greater diversity of crops is a strategy farmers can apply within their agricultural systems with minimal environmental impacts, and is one of the themes we explored during September. 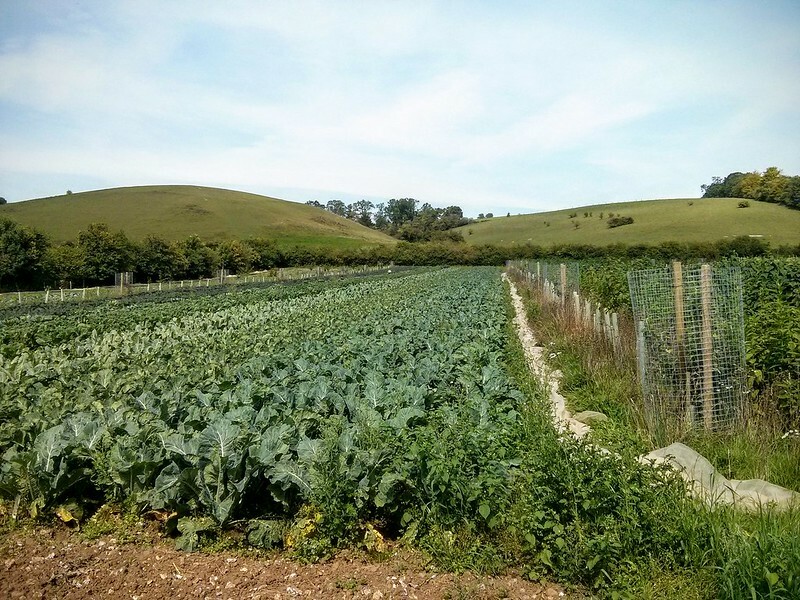 Sally Cunningham of Garden Organic provides insights into an arena that mainstream farming could perhaps learn from in her featured blog in which she focuses on the ‘Sowing New Seeds’ project. She emphasises the valuable insights that small-scale growers (particularly allotment holders) can - and are - providing in relation to more exotic crops that are not traditionally grown in the UK. In addition to helping increase crop diversity, this is also acknowledging the importance of a host of other significant factors such as passing on traditional knowledge, recognising the correlation with the range of foods that we consume in the UK having broadened to encompass a whole range of cultures, and the quality of seeds being all-important. However, this is of course just one piece of a complex jigsaw. We delved into increasing crop diversity through combining different crops and looked at what some farmers have been experimenting with, and the various impacts on the crops and the growing environments. Two of the farmers featured; Jake Freestone and Andrew Howard, through trialling various forms of intercropping, point out the important management considerations in order to get the best results, but also emphasise the all-important beneficial impacts on soil protection, soil biology, soil structure, soil mineral nitrogen, pest management, weed competition, and reducing insecticide and fertiliser use. We featured two research papers that looked in detail at using companion cropping to help with pest control through attracting natural enemies, and at how combining crops can lead to more efficient use of nitrogen sources. Tegan Gilmore in her recently published (and entertaining!) blog, talks about the potential of "plant teams" and ways in which you can share your intercropping experiences with other farmers and perhaps try out new practices; through getting involved with the DIVERSify project and Innovative Farmers. A big highlight in September was the Agricology Open Day held at Daylesford on the 14th - if you weren’t able to make it you can view tasters from the day thanks to Facebook Live (and our fantastic new comms person Olivia who managed to skilfully master it!). In addition to practising rotational grazing, farmer Rob Richmond also cultivates resilient pastures through using diverse swards. In response to our diversity theme he recently tweeted a photo showing the mix he is using in his leys (see right) - demonstrating a way in which Agricology can act as a vehicle to help spread knowledge and ideas on agroecological approaches and practices. Looking ahead, this month, we are focusing on planning crop rotations and planting, maintaining and harvesting woodlands on farm, so please share any thoughts / experiences / problems with the Agricology community using Facebook, Instagram, Youtube, Twitter (@agricology to join in the conversation), or contact us on enquiries@agricology.co.uk. Look out for a blog from the Woodland Trust that will give some useful pointers of what you should be prioritising on your farm at this time of year. The Winter Organic Cereals Workshop in November promises to be a fascinating day exploring intercropping and cereal diversification, go along and find out ways in which you can get involved in trials or perhaps make changes to your current farming system. I’ll finish with a sobering reminder put across by Nicola Bradbear of Bees for Development at the open day - crop and nutritional diversity would not exist without one vital factor - “97% of the foods that we eat need pollination.” Increased cultivated crop diversity helps provide an increased habitat for natural diversity to thrive, which plays a key functional role in cultivated crop production.